I hold my hands up that, back in the day, I was a serial eyebrow plucker, so much so, that over the years my brows practically stopped growing back. This resulted in me having to ‘draw them on’ daily. However, by doing this, it became a daily chore and unnatural looking, leaving me feeling very self-conscious. Tattooing your body is one thing, there’s the option of covering it with clothing, or another tattoo or having it removed. The thought, however, of tattooing your face has to be a scary one and a decision that shouldn’t be taken lightly. I’d known of Joanne Lee and her treatments for some time as I was a monthly visitor to her salon, Beautique, in my hometown of Scarborough. 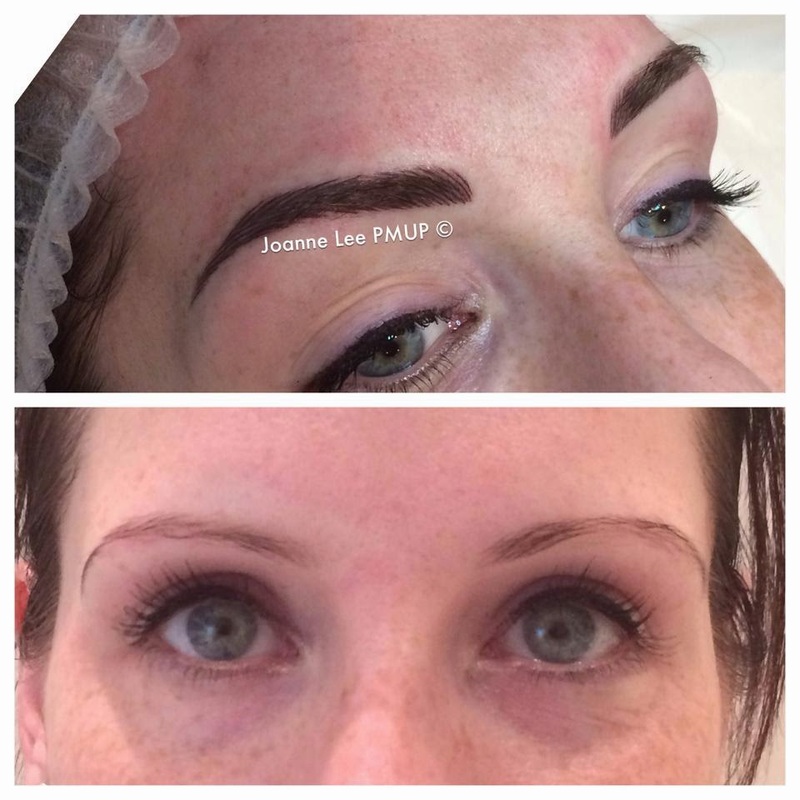 Joanne is dedicated to her trade as a permanent makeup artist. Her website not only houses all the information you could need on her, her trade, a list of available treatments, a gallery, Q&A and testimonials to her work. With 28 years experience in the beauty industry and clients up and down the country, I was pretty happy that my brows and I would be in safe hands! At my consultation I found Joanne a pleasure to speak to. She happily explained the process and reassured me that she was a perfectionist and always aims for a natural brow look by working with the brow hair and then adding in different shades of colour to help add depth and shape. She also evens the brows to make them symmetrical. Joanne starts the process by applying a general anaesthetic to the brow area. This is left on for an hour. She then outlines the shape of the to-be brow, using a white pencil to show any natural brow that may/may not have to be removed by waxing. Joanne then took her time making sure we were both happy with the shape/positioning of the brows. She also showed me the colours she was using and warned me that they may seem darker straight after being done, but that this would fade to a more natural shade to match my hair and complexion. I’m not going to lie and say the tattooing/needle process was completely pain-free. The first needle Joanne used was a bit of a killer, and the ‘tail’ of the eyebrows were more tender than anywhere else, however, after this first needle, the rest of the process was bearable. The tattooing part took the least amount of time. And there they are! My new brows are amazing! I’m so happy with them. They look exactly how Joanne drew them to look and actually look how they have been looking when I have them HD’d. To me, they look natural and not as ‘drawn on’ and too bold as some can be, but that’s a personal choice. It’s going to be a dream getting up in the morning and taking half an hour less in the bathroom getting ready in the morning trying to colour my gappy brows in and make them look presentable! Joanne explained and gave me a leaflet of aftercare notes. I was also given a pot of bepanthen to use to help with the healing process. Joanne advises a checkup after 8 weeks and then recommends booking for a touch up in 12-18 months. Joanne travels up and down the country, visiting clinics in London, Nottingham, Leeds, Bromley and Scarborough. So if you’re interested, or fancy booking in, just get in touch, you won’t regret it. They look soo amazing! What I would give to just be able to hop out of bed and have brows like that. I may have to add that to my list of things to save for. Haha!